They were grumpy all day, so I told them the kid who is nicer to another will get chocolate. 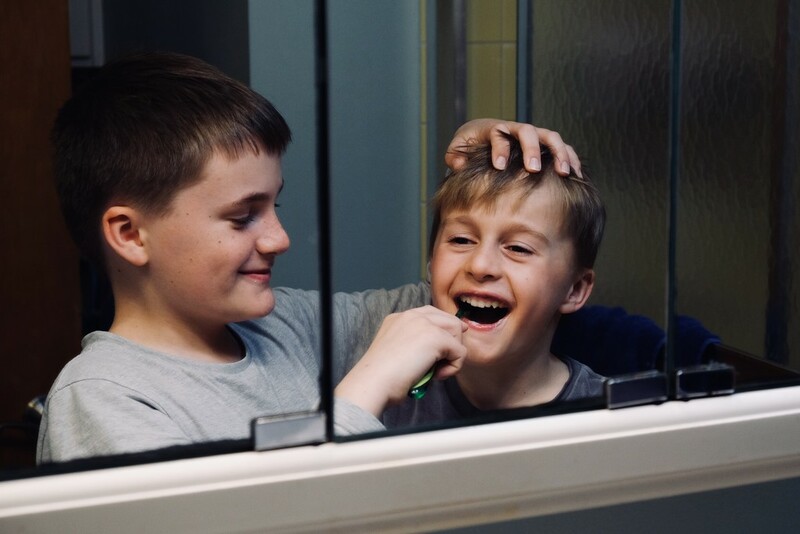 They ended up brushing each other‘s teeth and reading each other bedtime stories. Ha, clever! Love the expressions you caught.